Hi peeps! What's been on? .....anyway guess who had a cold....yeap....moi...sniff sniff...and I enjoy being a baby about it....hot soup, anyone?! I'm sure you can tell from the weather talk, I'm not exciting at the moment....lol! 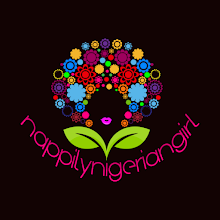 My name is Toyin Awesu and I am from Lagos State. I have had natural hair for about 7 years. During the 7 years, I have done some many different things with my hair. 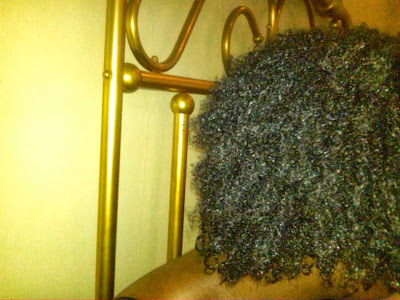 One of the reasons why I love natural hair because contrary to what some may believe it is very flexible. During my journey I have coloured, cut bangs, worn weaves, and even cut layers. 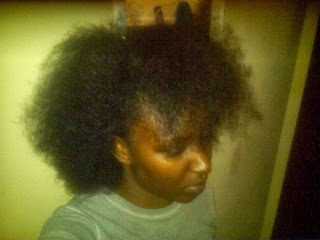 Although I have had natural hair for a little while, I really did not begin caring for my hair till about 3 years ago. When I began my transition there was very little information on the web about how to care for your hair. In the early days I used to get my hair pressed with a hot comb just to wear it straight. That was quite damaging. I have since learned how to get my hair straightened without causing such damage. I transitioned twice both for about 8-9 months. The first time, I just gave up. 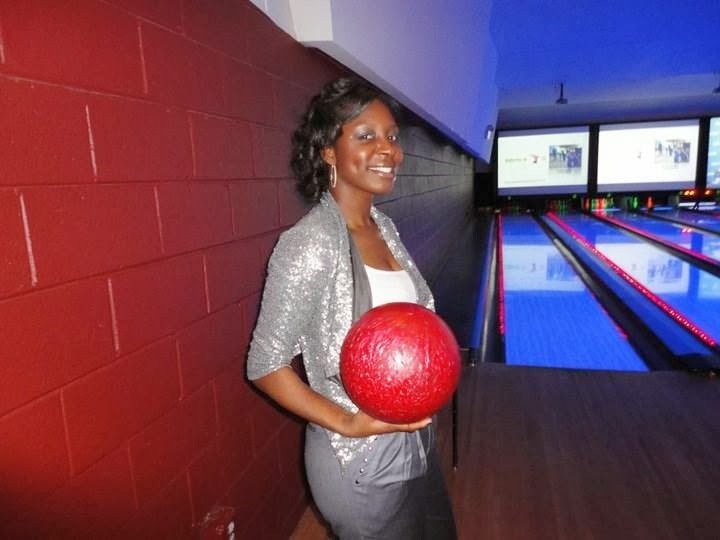 It got too difficult but after I got the relaxer I felt terrible so I started again. A friend of mine from college motivated me. She has natural hair but at that time only wore braids. One day she was at my apartment and noticed that I had really fine curly hair when I was washing my hair. She insisted that I cut the relaxer out because it was too harsh for my hair. At that point, I was even using relaxers that were meant for people with fine hair. It was at that point, I knew I needed a change. My hair was always limp and never full, no matter how long it grew. So I figured, what would it hurt and began the transition journey. 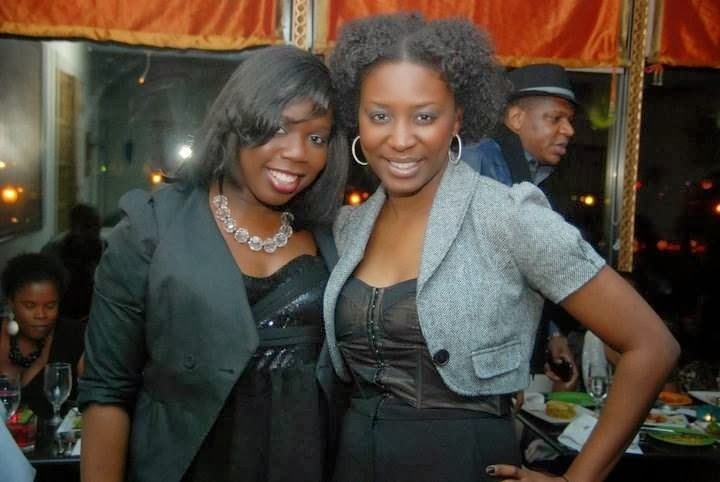 Luckily, I was attending Temple University in Philadelphia and I noticed many females had natural hair. They generally wore their hair blow dried and flat ironed, but at least it was natural. There were many hair sylists who knew how to get your hair looking sleek without a relaxer. It was during this time I also discovered the Dominican shops (gift and a curse). It was through this process that I also learned what heat damage was really all about! 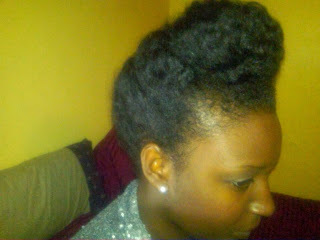 Well in the States, natural hair has now become more mainstream but it was not always like that. At the time I began my journey it was still not common, especially where I was from-Washington, DC area. In Philadelphia and New York natural hair was a bit more common. I got support from people since many were curious to see if they too could also do the transition. So they were supportive and always asked questions. My hair is very fine with the finest points being at the front and edges. 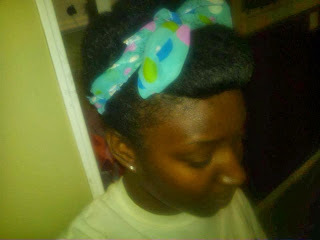 I really do not know how to categorize my hair but it’s between a 3c in the front and 4a in the middle. Due to the texture of my hair, I have to be very careful when I detangle, style, or brush my hair. That probably bothers me the most. What do I love about my hair you ask? Well, I love the texture of my hair. My curls are very defined and “spring up” when water touches it. I can do wash and go’s and my curls stay in tact. 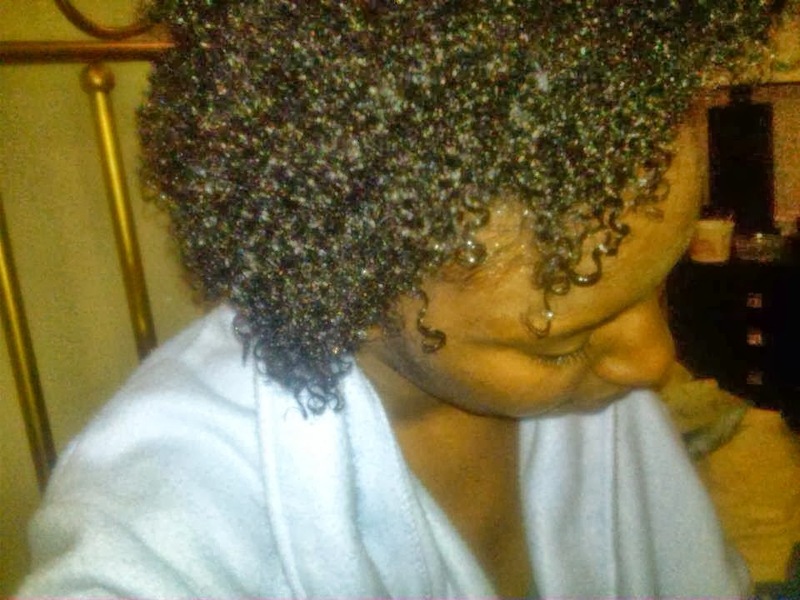 I do have shrinkage but nothing that can not easily be resolved with a rubber band and some air drying or a diffuser. 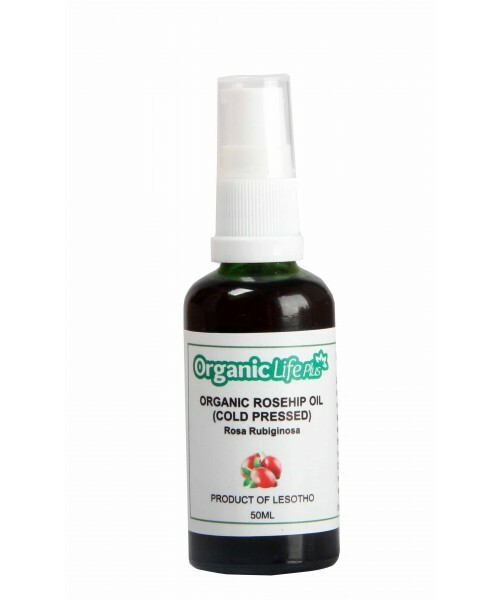 This also helps in the reduction of frizz. Blow drying is fairly easy. It straightens up instantly. Since my hair is not very thick, I can achieve most styles in a quick time and drying does not take forever. 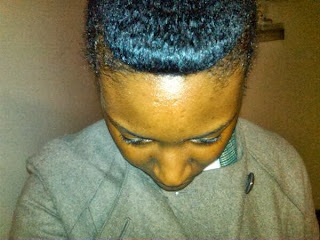 Well due to the porosity of my hair, I have to use a cleanser once a week or bi-weekly the most. I must always use a deep conditioner to avoid breakage. Protein treatments and henna are also apart of my monthly regimen (henna once and protein bi-weekly). I also use Biotin enhanced products for thickness. No, I don’t think it’s time consuming. There is no type of hair that does not require one’s time. Whether it’s on daily maintenance, the application of the style (weave/braids), or removal of the style it will take time. My go to style is a high bun. 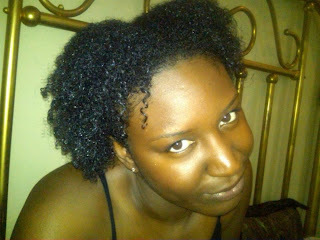 Sometimes I do not mind the shrinkage especially on my wash and gos. I just pack my hair to the back of my head either with my banana clip or a hair band and let it air dry 75% then I take the clip or band out and dry the rest of the way. Shrinkage gone! I would need my Yes to Carrots Leave in Conditioner, Shea Moisture Yucca & Baobab Thickening Shampoo and Organix Argan Deep Treatment Masque. It’s really been about knowing your hair. Everybody’s styles and regimens may not work for you. There is no one particular incident but seeing my friends who I never thought would say good bye to the creamy crack or hair weave start their natural hair journey have been the most memorable part. Nothing really except the fact that I get more compliments about my hair and styles. Since I am pretty new to the environment this may not apply to me. 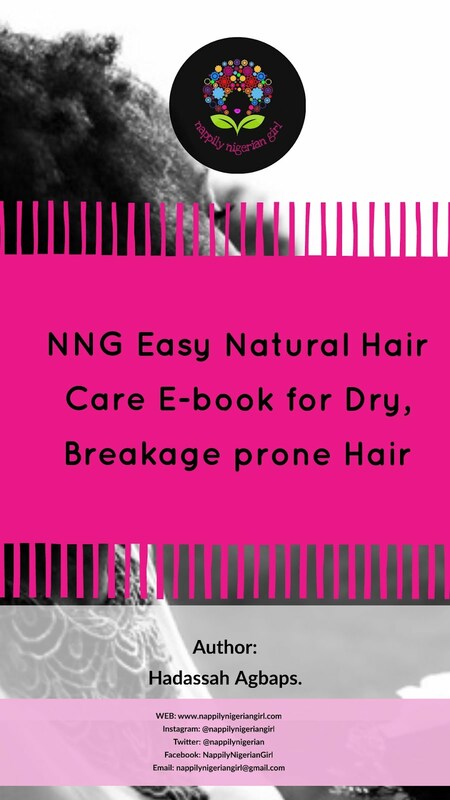 However, I have noticed there is very limited supply of natural hair care products and outlets for knowledge on hair care. I love the variety of products we have access to in the US. It was not always like that but as the demand changed the shops had to change ther inventory. It also spawned an entrepreneurial revolution with the likes of Shea Moisture, Miss Jessies. 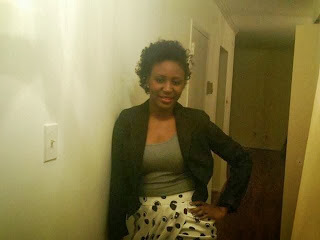 Mixed Chicks, As I Am, Carol’s Daughter, Komaza, Kreyol Essence and many more. There is also very little knowledge in the salons so that can be quite limiting. People can braid and loc but they really aren’t educating their clients on natural hair care maintenance. 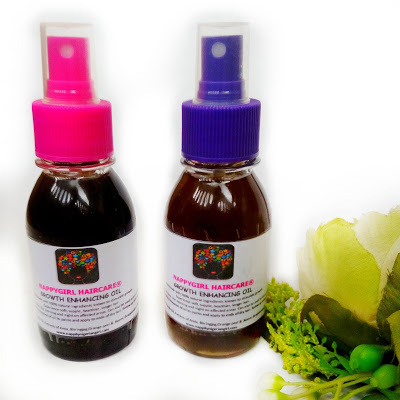 Hmmmm....only natural products for natural hair. Again, I have found that the market is still in its infancy stage. There are lots of natural resources around us but there are also great products that have been made with those items. I’d like to see more of a happy medium between the both. At my last job, my boss always complimented my hair. He always said my hair had so much personality. You do not have to be dull with natural hair. There is so much flexibility. There are so many great things about being Nigeria but for me it’s the culture. The differences in our tribes is what we should embrace and not use to cause a divide. We are beautiful people that come in so many different forms. I love it when people say to me that I don’t look Nigerian. I tell them it’s because we have no look. We are such a culturally diverse group of people that can not be boxed into one area. My inspiration is to just be you! Take this time to realy study your hair and changes it goes through. Be confident in your skin and your hair. There is nothing wrong with switching it up, just always stay true to you. THANK YOU Toyin for taking part in this series and showing that NIGERIANS' GOT GOOD HAIR TOO. Now...time to make y'all jealous people! You know how you go to natural hair forums and these naturals start talking about a lot of delicious products you just know you can't easily find in Nigeria? ....and if you order online, you'll have to impatiently wait like a week to get your products....I have to put kits together so I know! .....so watch out for the reviews people. Lol! I hope so too! Thanks.